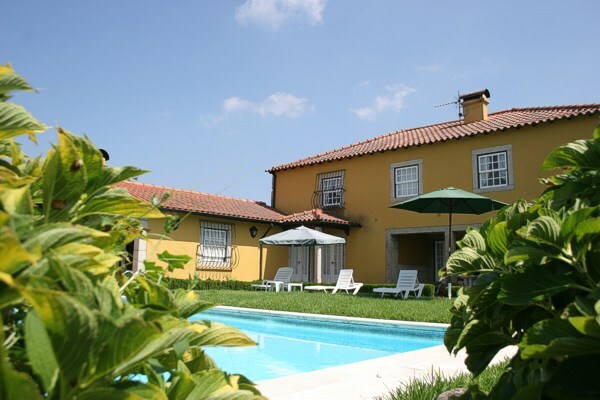 Built to the highest standard this beautiful house is superbly located in the Minho region with views down the Lima Valley to the mountains beyond. 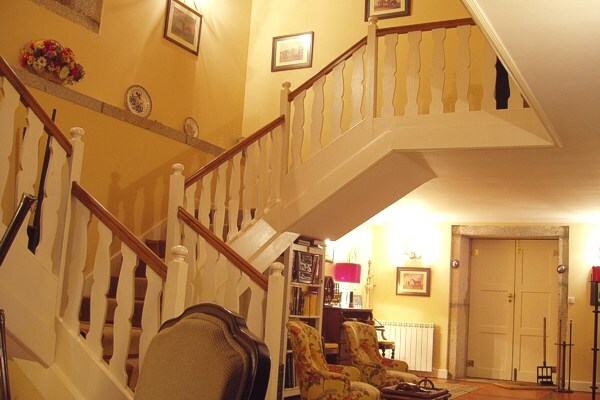 The walls of this former agricultural property have been retained to create an imposing residence with a divided staircase going up to a first floor balcony overlooking the entrance hall. The garden, created from a former olive grove, offers views over the vineyards in the river valley and towards the high lands of Serra d'Arga. 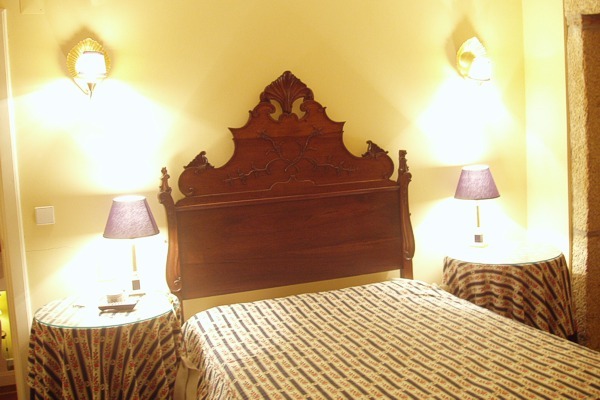 Casa do Olival is furnished to very high standards and, with great attention to detail, providing elegant and very comfortable accommodation. 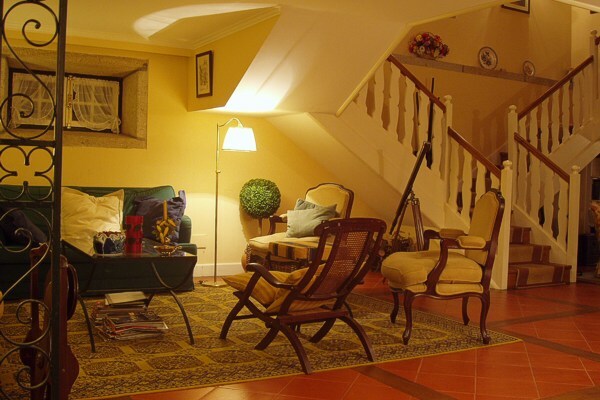 For winter visits the house is centrally heated with a supplement payable. There is a large open plan area with an entrance hall, sitting area, alcove featuring a card table and, separated by a wrought iron screen, the dining area. There are three doors leading to a covered patio outside. 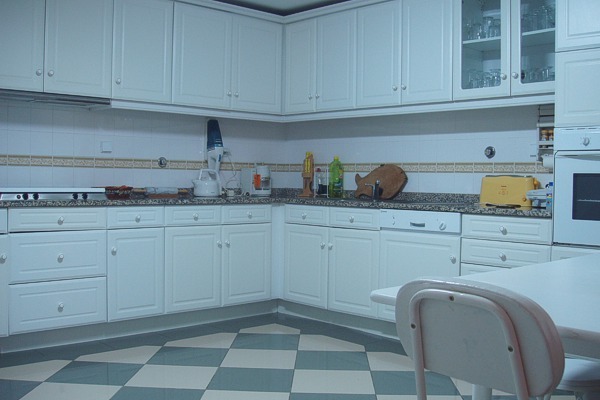 There is a fully fitted kitchen with cooker, microwave, dishwasher, toaster, coffee machine etc and, a laundry room with a washing machine. There is also a downstairs bathroom. 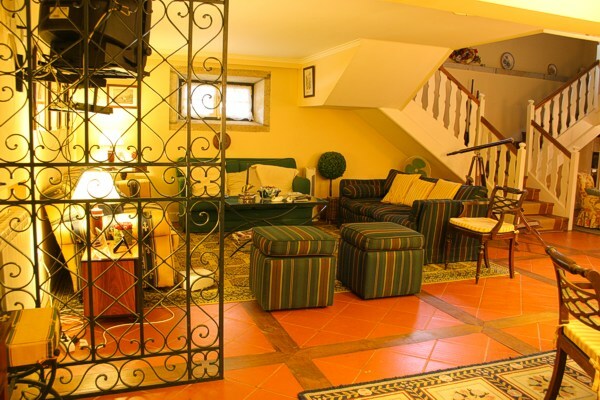 There are 4 double bedrooms all with televisions. 2 bedrooms feature double beds and both have an ensuite shower room. The other 2 bedrooms each have twin beds and both have an ensuite shower room. There is a covered patio, overlooking the pool, with a built-in barbecue for dining alfresco on sunny, hot days. The swimming pool is 10 metres by 5 metres and the depth is from 1 metre to 2 metres. 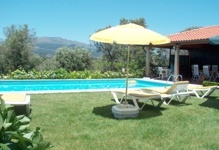 There are lawned areas with sunbeds and umbrellas in which to enjoy the wonderful views in total privacy. If you are feeling energetic there is a badminton net in the grounds. There is also a parking area. 1 kilometer from the house is a restaurant and mini-market. 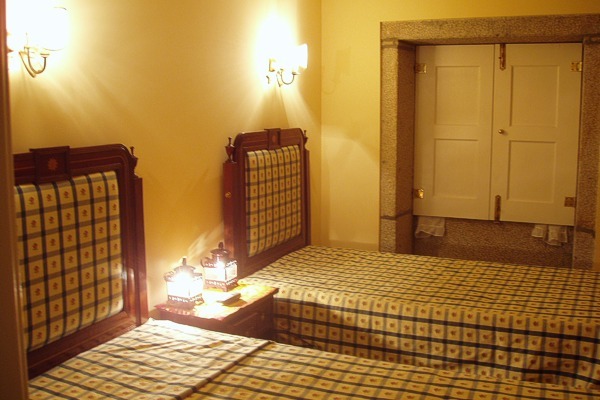 The historic market town of Ponte de Lima is 8 kilometers away. 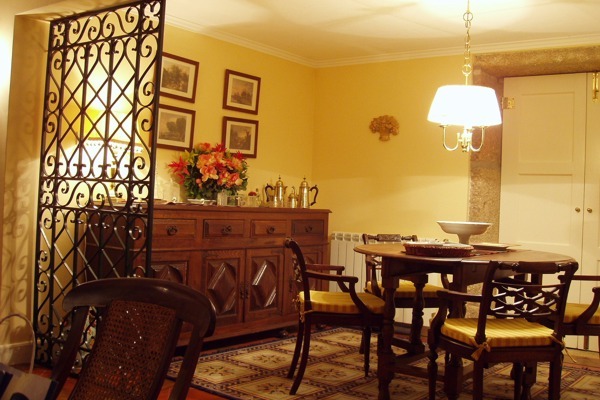 Casa do Olival is ideally located near modern fast roads leading to the old sailing port of Viana do Castelo, the Peneda-Geres National Park, the walled town of Valenca and, Vigo, Baiona and Santiago de Compostela in Spain. The Portuguese cities of Braga, Guimaraes and Porto are to the south, also by motorway. Ponte de Lima golf course has been described as 'championship golf at municipal prices' is a few kilometres from the house and also has an excellent restaurant. 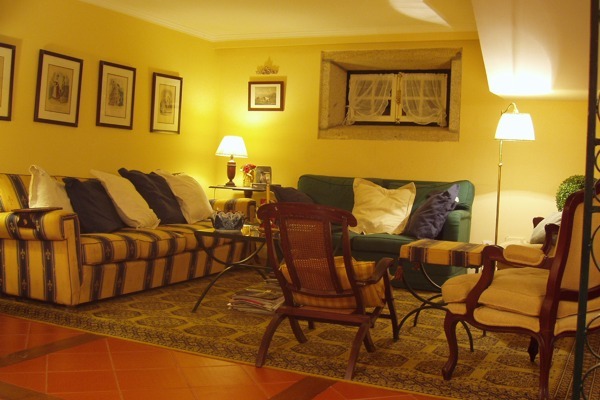 For very large groups there is another house, opposite Casa do Olival and across a small lane, Quinta de Nabais which accommodates another 11 people. Comment posted by G. N.
I was looking for a holiday that I would always remember as something special, and was amazed by the fantastic accommodation at Casa do Olival, it is not a villa, it is a beautifully cared for house, that is presented in such immaculate fashion. It was hard to leave the house and its surroundings to travel to the other towns near by. However, the local area did not let us down, and the Minho area proved to be what you would envision “the real” Portugal to be like. Still largely unspoilt by foreign tourism, there are some truly wonderful places to visit. 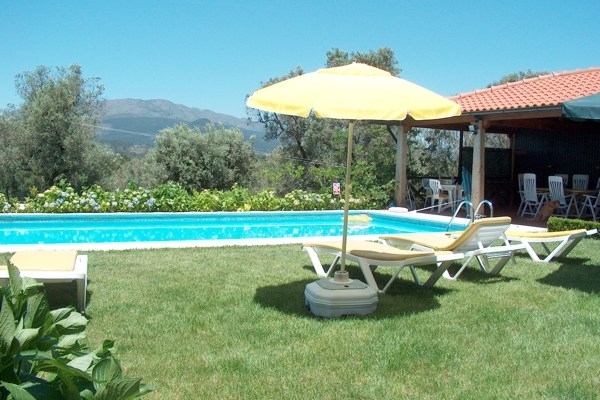 If you are thinking of going to Portugal, do contact the team at Manor Houses of Portugal Promotions before you do anything else, as I cannot recommend them highly enough.